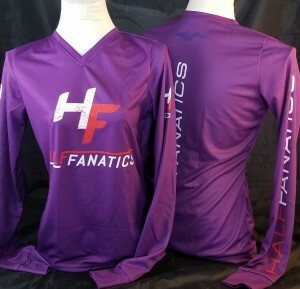 Introducing the NEW Half Fanatic 2018 Edition Purple long sleeve shirt! Half Fanatic logo on front/ back/ sleeve and a smaller Fanatic Vulture on the upper back. V-neck cut design for women's shirts.